Thank you so much to the Cincinnati CityBeat for the lovely review of my recent exhibition Overview at Manifest Gallery, and for selecting it as the 'Best Solo Exhibition at a Gallery' in Best of Cincinnati 2019! I am delighted to have won Manifest Gallery’s ONE Prize, an international prize from which my work ‘Overview’ was chosen from 927 entries by 18 jurors across the U.S. 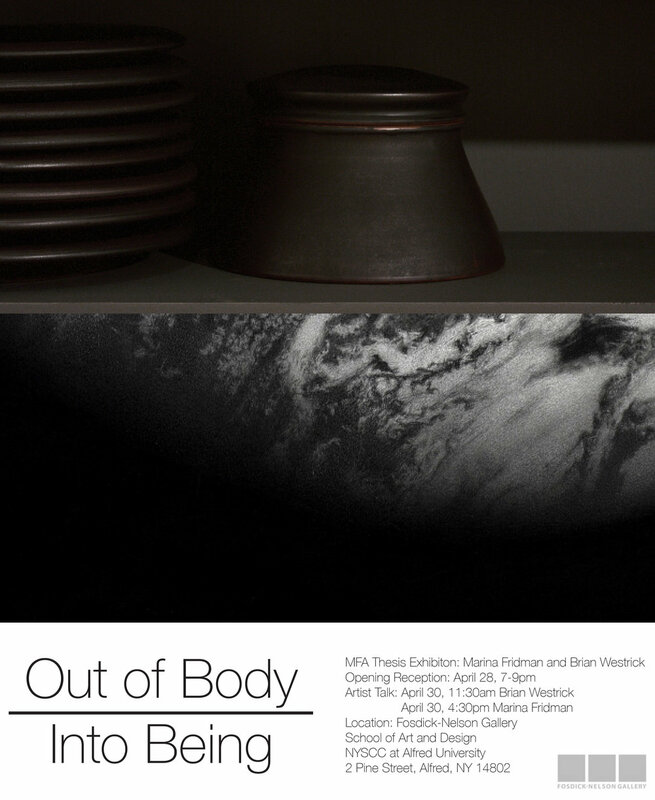 Please visit the Manifest Gallery website for more information. I am very excited to be one of 20 artists from around the world heading to Jerusalem, Israel in a month's time, where I have been invited to create a site-specific installation at an artist residency at HaMiffal Cultural Center! I will be teaching a Composition and Still Life Workshop for the Peace River Chapter of the Federation of Canadian Artists on Saturday, November 24 from 9:30am to 4:30pm. Please see the Peace River Chapter’s Workshop page for details on how to sign up! Thank you to Booooooom for featuring my older series of interior drawings in an Artist Spotlight! 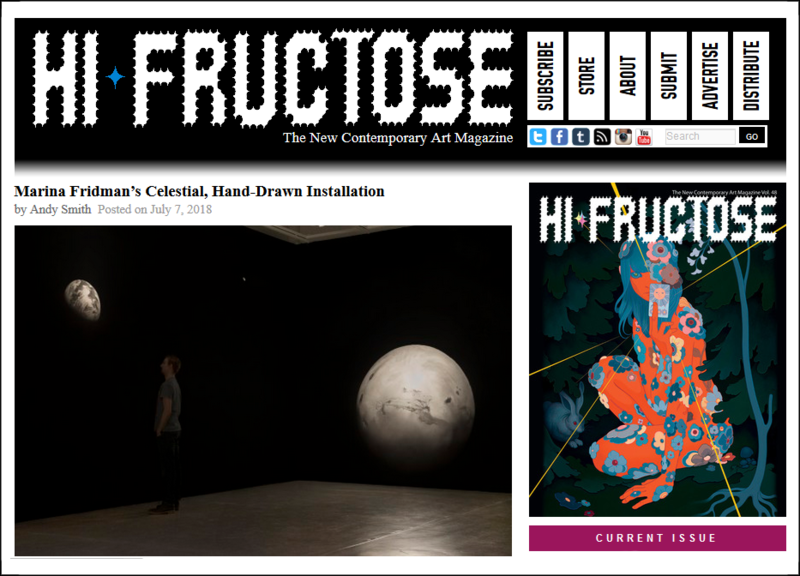 Very excited to be featured on Hi Fructose Magazine's website! I am thrilled to have received an Honorable Mention in the International Sculpture Center's Outstanding Student Achievement in Contemporary Sculpture Award! Click on the image above to read the entire Press Release on Alfred University's website. titled 'Out of Body/Into Being.' It will feature my first immersive drawing installation, as well as other works. Show cards have arrived for my upcoming MFA Thesis Exhibition! I am thrilled to have been selected to be an Artist in Residence at the Sculpture Space Artist Residency in 2019! Copyright © 2019 Marina Fridman. All Rights Reserved.